Kris Daly, quilter, in her booth. 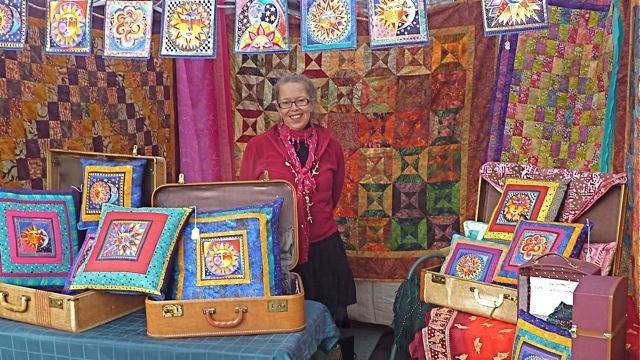 She will be bringing her colorful flags, pillows and quilts to this years HeartFest. All these wonderful artists and artisans and wonderful musicians together under one roof at the Briscoe ArtWing, 265 North Main, corner of N. Main & Laurel, Ashland, Oregon, Feb. 12 & 13, Saturday 10 a.m. ’til 6 p.m. & Sunday 11 a.m. ’til 5 p.m. It is a Valentine’s Day Weekend event to not be missed. Where would we be without art in our lives? What is a festival without the art and the artists, the music and the musicians, the play and the actors? Below is a list of the artists and artisans at this years event. Many have links to their websites. Come out and support our local artists this Valentine’s Day weekend at the Briscoe ArtWing, in Ashland, Oregon. What each of these merchants has in common is a love of the craft, and skills that modernity has often forgotten. They are all here at HeartFest, skilled artisans whose livelihood is made with their own two hands, whose spirit of authenticity bridges the gap between the past and the present. The artist is connected to each piece, every design, every smoothed edge, stitch, or hammered shape; every detail has a story, and the story brings our collective hustle and bustle back down to Earth. 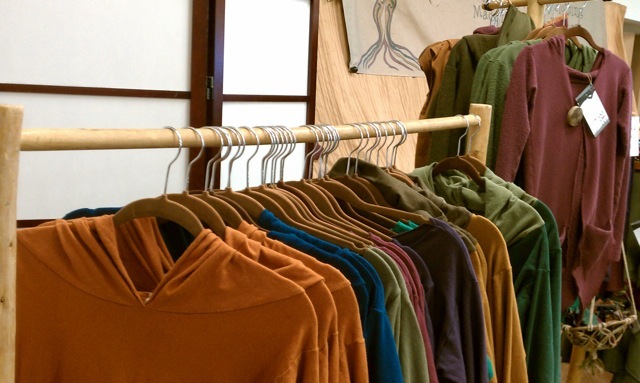 Hempress Arise Clothing company is a small, locally owned hemp clothing company run by Heidi Carlson. Barbara Jacquet – “Bamboo Chutes” www.bamboochutes.com. Recycled bags. Carola Marashi – Heart Art. carolamarashi.wordpress.com. Alissa Clark – Whimsical pottery. Bill Francis – Fine Functional Pottery. 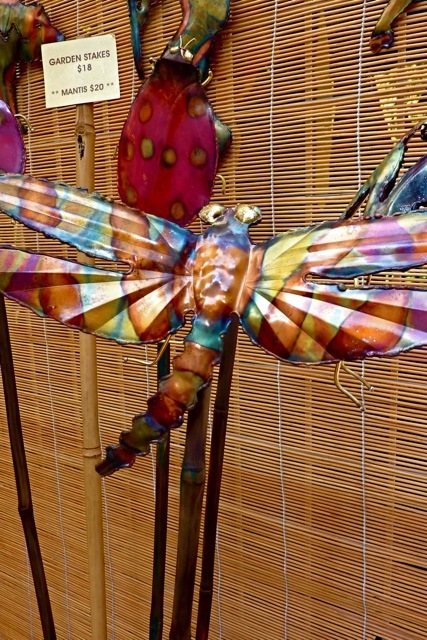 Steve McLaren is a copper artisan who makes beautiful sculptures for the garden and jewelry for adornment. Dan Clark – Silver-smith and lapidary. Hand-cut stone beads by local lapidary artisan Marcus Scott, owner of "The Stone Bead" in Talent, Oregon. Juan Garcia Alfaro – Traditional Silver Jewelry.